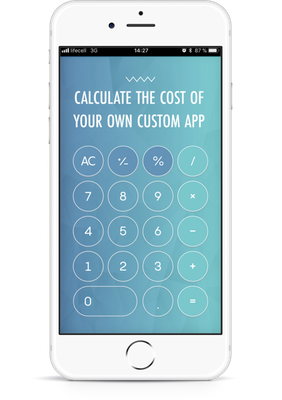 We hope that this application calculator will help you to preliminary estimate how much the development of the project would cost. Also, it provides you with some figures that you can use for further assessment. Note, this is not intended to provide an accurate final budget, rather to give you an approximation. 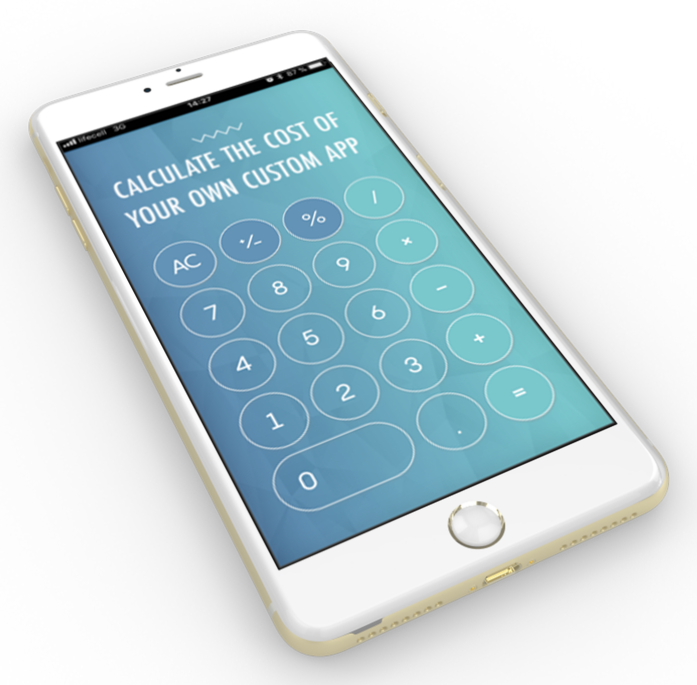 If you have an idea of the app for your own business, choose the features below and find out the cost. Please, select at least 5 checkboxes to receive an approximate cost of your app. Will your app run on an iOS platform? Do you want to create an app for iOS devices? Would you prefer to build your app for Android? Do you need this app only for Android devices? Do you want to create this app for phones? Shall we create the apps for iPhones or Android phones? Should it run well on tablets? Do you need an app for iPad and Android tablet? Do you need your users to log into their accounts before using an app? Does the app have a multi-screen signup process? Is it a complex multi-step wizard? Can the user login via social networks (Facebook, Google, Twitter)? Do you plan to integrate with popular social networks? Can users sell products or services from the app? It implies a catalogue creation with detailed descriptions and prices of products or services. Is there any kind of order tracking or history? Do you need a tracking system providing the information about an order location, shipping, etc.? Can users buy products or services within the app? Do you need a payment system integrated (PayPal, Stripe, etc.)? Can users leave their reviews or comments? Do you need a rating and feedback system in your app? Do geo location features and GPS matter? Can users find, determine or provide the exact location via the app? Do you need a calendar to handle booking, events, etc.? Do you need a booking or scheduling system in your app? Do you want to use your app without an Internet connection? Does your app need to work in an offline mode? Is there an online chat feature inside the application? Do you need any multimedia functions, group chats, video calls, etc. in your app? Do you need a back-office (admin panel) to manage the data? Database management directly through the back office: adding/editing/removing information. Do you need any integration with your CRM or the like? You can also integrate an app with your dashboard, admin panel, etc. Do you need to fetch data from 3rd party sources? Do you need any kind of integration with services like: Facebook, Twitter, etc.? 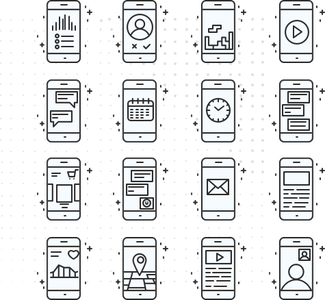 Do you need the app to pull data from your website? You can access information about users which is stored on the server. Do you need help with outlining features that you'd like to build? Do you want us to help you with a specification creation and defining an architecture? Do you need to design the user interface for your app? Do you want us to come up with a UI for your application? Do you need a support & maintenance of the app afterwards? We provide an insurance that the app is working flawlessly and issues get addressed quickly. Consider to build an MVP. It is typically cheaper and faster to create. We have a number of ways to reduce the budget. Please consult via our online chat or fill in the form below. Don't hire poor engineers. You will end up paying twice. By support, we mean bug resolution warranty. This includes removing technical issues and any mismatch between the specification and actual application behaviour. For more information, please check our warranty policy. We can send you a PDF version of the quote with more information on each point. You can contact us for more information via contact@anvileight.com or request a follow-up using the form below. Thank You for contacting us. We will get back to you within 1 business day.